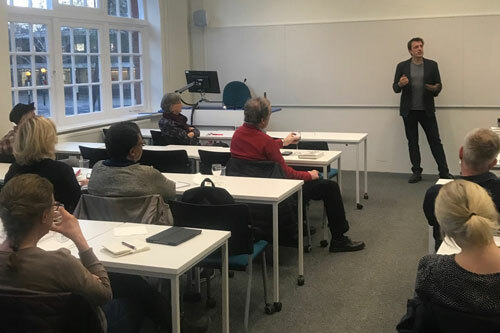 Investigative journalist and author Oliver Bullough presented his third book, Moneyland: Why Thieves And Crooks Now Rule The World And How To Take It Back (2018), in an event held at City, University of London on 28th March 2019. The talk was dedicated to the book’s key insights into two of the murkier areas of financial crime – money laundering and tax evasion. 'Moneyland' is Bullough’s term for a secret parallel-world country “of the lawless, stateless super-rich”. At the event, Bullough described his visit to Ukraine in 2014, during the Ukrainian revolution. He spoke of an area of state-owned land in a forest outside Kiev that belonged to a British company Astute Partners Ltd, registered at 29 Harley Street in Central London. Ukrainian court proceedings later showed that the real owner was former Ukrainian president Viktor Yanukovych. Bullough said that this was not just an issue for Ukraine – wealthier countries such as Britain have been just as involved. “Nobody knows exactly how much money is laundered through Britain. If you look at the global investment figures for every country – and then put it in a table – it should add up, but it doesn’t”. The journalist explained that his book is essentially a story about people stealing a lot of money from people who need it (like children with HIV in Africa) and “spending it on things that nobody really needs”. “I think the reason it started was because the regulations were imperfect – and enough wealthy people wanted to avoid tax – which meant it was profitable for financial professionals to design a system for them,” said Bullough. As he explained, if an official stole money in the old days, he would only have two options: he could steal and spend it, or he could steal and hide it. “Kleptocracy (a government with corrupt leaders) really got going in the 1960s, with people like [Ferdinand] Marcos in the Philippines and subsequently the regimes in Zaire and Nigeria.” After the 1970s, the economy was destabilised by ingenious bankers in Switzerland and the City of London. “Theft suddenly took off on a massive scale. Now you could steal money, hide it offshore and spend it on luxury goods (expensive property in Miami, for example). You could take your name off the money and enjoy it”, said Bullough. The money was often hidden in Switzerland; “it was totally anonymous and tax free”. Discussing possible solutions, Bullough said: “All it takes is an engaged MP. We need one person who can do the job properly and has sufficient influence, to close those gaps”. He referred to Ulana Suprun, Minister of Healthcare of Ukraine, as “one woman who had political courage”. Bullough was joined by Richard Murphy, Professor of Practice in International Political Economy in City’s Department of International Politics and an expert in taxation policy and avoidance. He introduced the book Tax Havens: How Globalization Really Works (Cornell University Press, 2009), which he co-wrote. 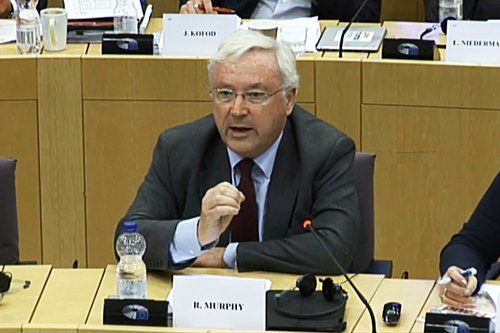 Professor Murphy explained that the rich stealing money from poor countries use tax havens – places which offer lower tax rates as well as less stringent regulations (such as the Cayman Islands). 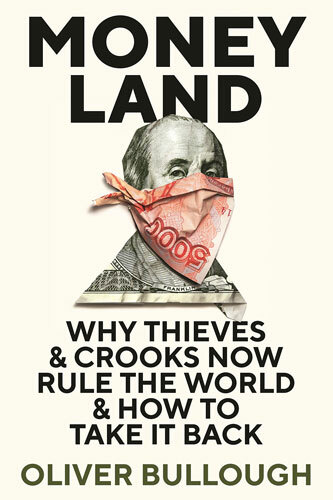 "Moneyland is the gap between states – the place that the law does not reach, where money can disappear from view." The problem is the secrecy. It is not clear who owns the offshore companies and how to account for their assets. Professor Murphy said that one of the biggest problems in the UK is that there are 4.8 million companies which live, on average, for only two years. “There is no effective regulation of them,” he said. Oliver Bullough has a special interest in the former Soviet Union and financial crime. He regularly writes for The Guardian, The New York Times and GQ. Moneyland is published by Profile Books.